What causes dry or red eyes? There can be several causes of dry, red or itchy eyes. The most common cause is an allergic reaction to an airborne irritant or an irritant on your skin. Contact lenses may also cause redness or “scratchiness,” especially if not cleaned properly, if you’re not used to wearing contacts, if you wear them beyond their normal wear period or if you’re in a smoky environment, and infections and eye strain are other possible culprits. 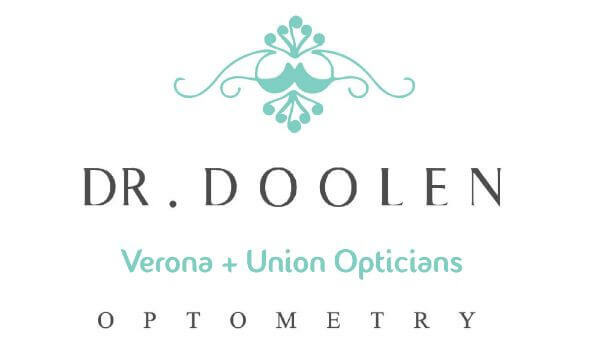 The best way to determine what’s causing these symptoms is to schedule an evaluation with Dr. Doolen. Are over-the-counter eye drops safe to use for dry, red or itchy eyes? Over-the-counter drops may be effective in reducing symptoms and providing relief, but if symptoms persist or recur or you find yourself applying drops on a regular basis, you should see Dr. Doolen to make sure the symptoms aren’t related to a more serious health condition. OTC eye drops usually come in two types: those that moisten the eye and can help improve the eye’s natural lubricating system (sometimes called “artificial tears”) and those that are aimed at removing redness. This second type works by constricting the tiny vessels in your eyes so they don’t appear as red, but they can also mask more serious underlying conditions and so should be used with caution or avoided altogether. 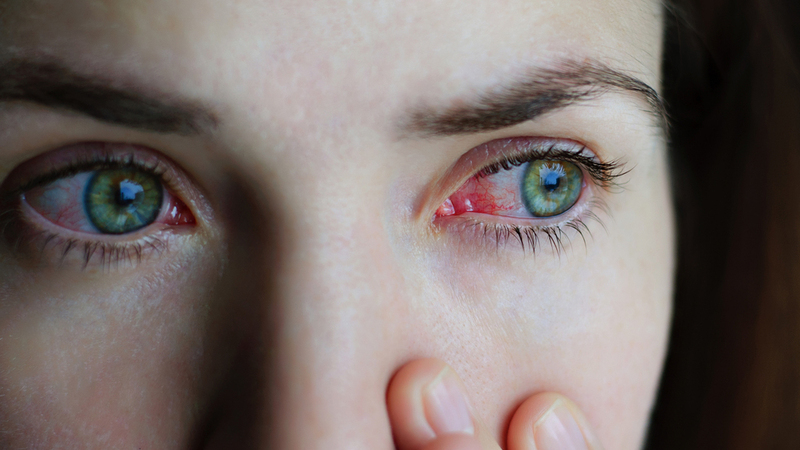 Eye allergies can be caused by a wide variety of factors, including environmental irritants like smog, smoke, plants spores, molds and cleaning products or other chemical products, and they may also be triggered by skin and eye care products or makeup, like eye creams, eyeliner, mascara, eye shadow, concealer or even hairspray. Eye allergies can also occur seasonally. Common symptoms include itching, watering, irritation and redness, and may be accompanied by other allergic symptoms like sneezing and runny nose.